Everyone looks great in a crisp white shirt. It’s timeless and classy and when you want that “Oh, this old thing! – I just threw it on this morning!” moment – it’s perfect. 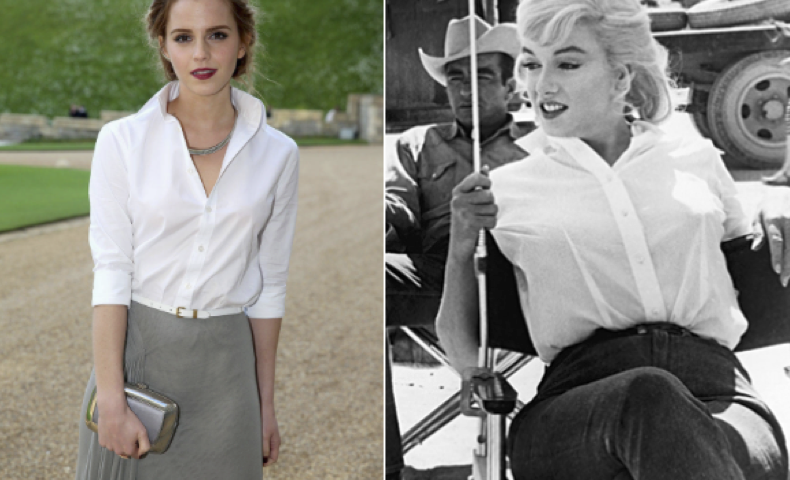 There have been some iconic white-shirt-moments over the years from Lauren Bacall, Marilyn Monroe and Katharine Hepburn to Julia Roberts in Pretty Woman, Uma Thurman in Pulp Fiction and to Emma Watson’s white Ralph Lauren shirt for her visit to Windsor Castle last year. Like the trench coat, the white shirt was menswear originally, but crossed over into women’s wardrobes in the late 19th century to go with the newly fashionable tailor-made suits. 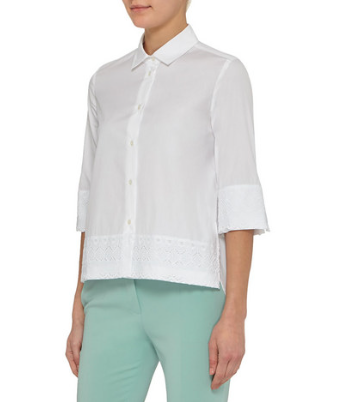 The perfect women’s white shirt is both sophisticated and feminine. It will always look better when it’s just slightly fitted but a white shirt is never clingy. The secret is, of course, to find the one that fits and feels great on you. We’ve found a few fabulous options available online at the moment to suit every budget. Previous: Make-Up Artist Michelle’s Shiseido review – straight from a cover shoot!